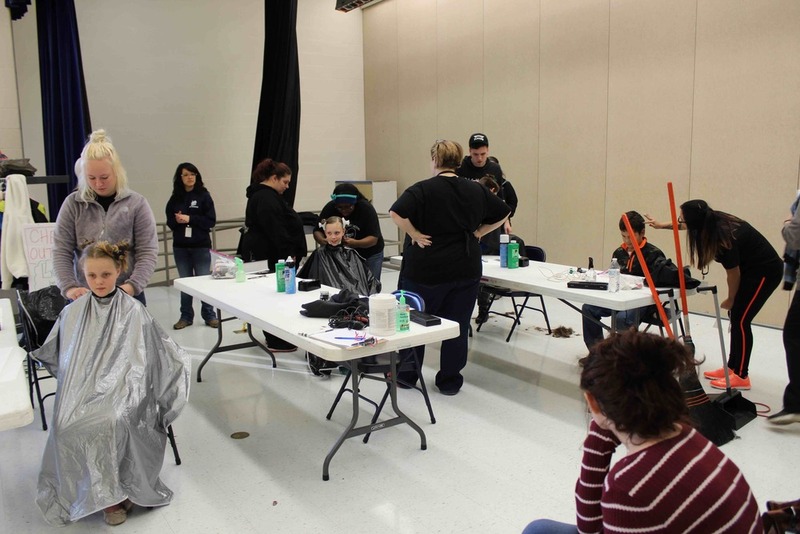 Cosmetology students at the Career Center got some hands-on experience and Northside Intermediate students got some new do’s on November 8 during parent-teacher conferences. For the second year Cosmetology Instructor Elizabeth Cadile’s seniors took their scissors and clippers to parent-teacher conferences to give free hair cuts. Last year the haircuts were offered at Parkway Elementary during conferences for the first time and the event was a big success. Cadile said all her students last year were busy during conferences and this year was no different. To schedule an appointment with the Cosmetology Program call 330-829-2267.